TCMzone® Single Collection 5:1 concentration in granules, packaged and sold as 100g bottles. 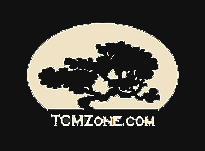 TCMzone, LLC is the provider of high quality herbal products, serving healthcare professionals since 2000, providing authentic, quality sourced herbal products that continue to raise the standards in herbal medicine. *The information provided here is for healthcare professional practitioners only. These statements have not been evaluated by the Food and Drug Administration. These products are not intended to diagnose, treat, cure or prevent any disease.